The original plan was for the Cowboy Junkies to make a record with their longtime friend, folk artist Vic Chesnutt. Tragedy intervened, however, when Chesnutt, 45, died by his own hand on Christmas Day 2009. And so what had been conceived as a collaboration ultimately took shape as a tribute, with the Junkies covering an album’s worth of Chesnutt’s songs for their latest LP, Demons. 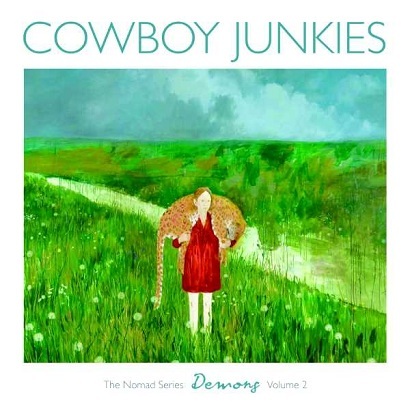 The second installment of the band's four-part “Nomad Series,” following last year’s ambitious Renmin Park, Demons is both a masterful exposition of a gifted storyteller and, at its essence, a riveting Cowboy Junkies album. While no strangers to taking considerable liberties with the works of others—think “Dead Flowers” (Rolling Stones) or “Sweet Jane” (Velvet Underground)—here the Junkies resist straying too far from Chesnutt’s original arrangements. Instead, they embellish upon their sound, adding a surge of guitar or an organ refrain as texture to their often-acoustic foundation like stuccoing the brick walls of a house. As such, moments of rustic, folk-influenced rock (“Strange Language,” “Wrong Piano”) complement ones touched by more of a somber, gospel grace (“We Hovered With Short Wings,” “See You Around”), eliciting altogether unique contexts and emotional dimensions. Lead singer Margo Timmins is intoxicating, her vocals on noirish, sweeping ballads like “Betty Lonely” and “Square Room,” in particular, assuming a dark and otherworldly allure. The final cut begins with a live excerpt of Chesnutt himself, the artist engaging his audience with a bit of off-the-cuff humor before the track segues into the Junkies playing “When The Bottom Fell Out” like a requiem. The juxtaposition is jolting, at turns recalling the source but also the poignancy behind these collected works. “We felt that we owed him something,” Junkies bassist Alan Anton said last year of Chesnutt and the band’s wish to make a record of his songs. With Demons, they’ve done their old friend proud.